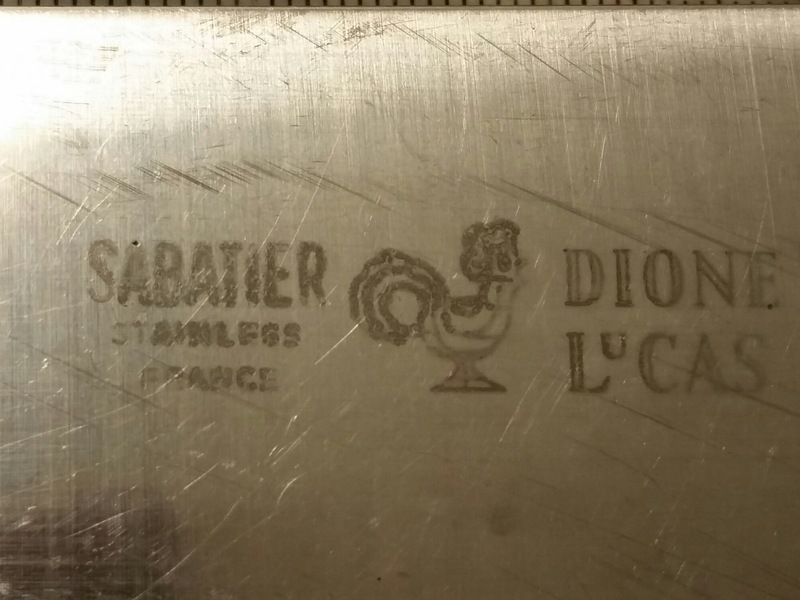 Do we know who manufactured this Dione Lucas, French made Sabatier ? Discussion in 'Kitchen Cutlery & Tools' started by Sudsy, Aug 2, 2018. We're not talking about the odd clipped point Japanese knives made years later under her name. Interesting knife. Heavy, much more weight to it then the comparable Thiers Issard, K, or Chef Au Ritz. I'd love to know who actually made it. i could not find much. sabatier is a region that makes steel, used to be Sheffield was the go to place. 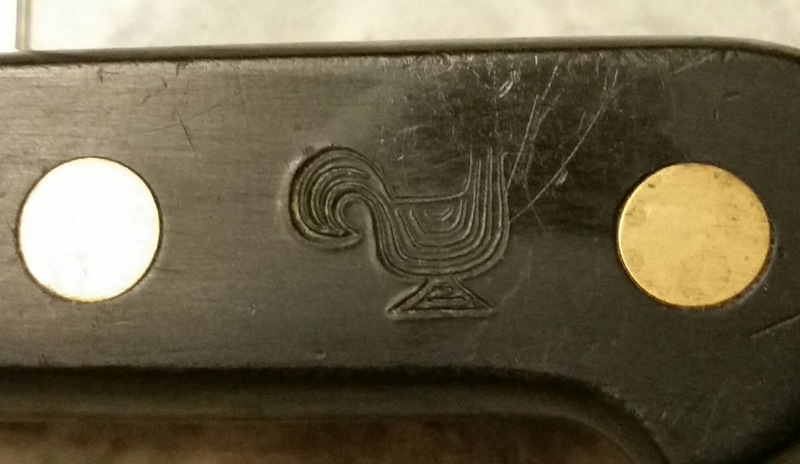 see if there is a French knife making site, might have some luck there. Dione Lucas was a foody and teacher. company used her name like companies today use Rachel Ray. if blade is stainless, it is not that old. enjoy. If you know where Dione Lucas was active as a celebrity chef, this might give you an idea for a timeframe which might help narrowing down who could've made it. Dione Lucas (10 October 1909 – 18 December 1971) (pronounced DEE-OH-NEE) was an English chef, and the first female graduate of Le Cordon Bleu. Lucas was fundamental in establishing an extension of the famous Paris culinary school in London in the 1930s. In 1931 she and Rosemary Hume set up a cookery school in London as they had both trained in Paris. They had a flat in Chelsea and they would reputedly serve their students creations to passing trade at chairs and tables on the pavement. Lucas is thought to have helped Hume create her first cookery book as Hume's spelling was known to be poor. Lucas worked as a hotel chef in Hamburg before World War II and later claimed that Adolf Hitler often dined there and had a taste for stuffed squab. She later opened a Cordon Bleu restaurant and a cooking school in New York. She also ran the Egg Basket restaurant by Bloomingdale's in New York. One of the earliest television cook-show hosts, Lucas's To The Queen's Taste was broadcast on CBS in 1948-1949 from the restaurant. She had another show in the 1950s. Dione Lucas was the first woman featured in a cooking show on television on WPIX-11 in New York. In one of her New York restaurants, The Gingerman, Lucas helped to introduce the omelette to the American palate. She can be seen as a predecessor and influence to Julia Child. Dione Lucas authored several cookbooks on French cuisine. That is a cool bit of culinary history. Thanks for sharing that.
" This is one of the very finest old Sabatier chef knives of its size ever made, the quintessential French chef's profile found here in a handy and versatile size (14" long with a 9-1/8" blade)--every chef's most heavily relied upon knife in the kitchen. Made in Thiers, France, this classic vintage chef's knife comes from Sabatier's very fine "Veritable" line of cutlery, some of the finest knives ever produced for the kitchen but it bears the brand of its initial retailer, the Dione Lucas kitchenwares store in London. "